Rooms start at about 267 Singaporean dollars (about $197 at current exchange rates). 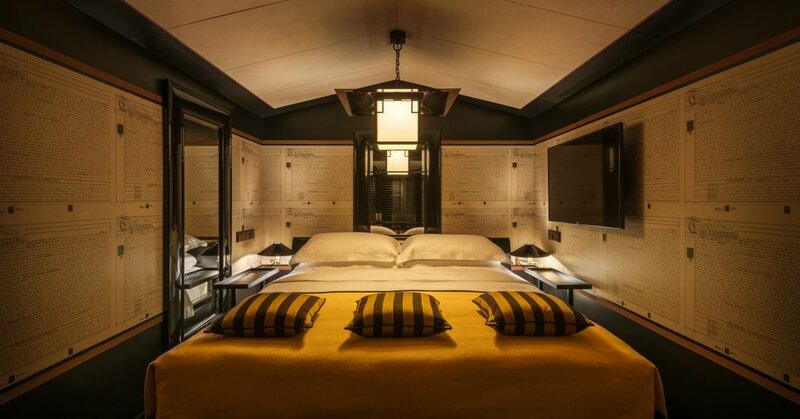 The Six Senses Duxton, a 49-room boutique hotel that opened in April in Singapore, was the company’s first hotel in that city and its first in an urban environment. (That is, until the December opening of its sister property in Singapore, the Six Senses Maxwell). Operated by the Bangkok-based Six Senses Hotels Resorts Spas, which now has two hotels, 15 resorts and 31 spas in 21 countries, the Duxton was created within eight three-story, early 19th-century shop houses in Chinatown. It was refurbished by the British interior designer Anouska Hempel with plush chinoiserie furnishings and décor that gives a big nod to the neighborhood’s distant past. At check-in at the two Singapore hotels, guests are cajoled into a “singing bowl” ritual that involves standing with your eyes closed while a therapist strikes a metal bowl with a wooden wand at your “crown chakra” so the sound vibrations can bring you “harmony and health.” Your welcome gift bag includes the herbal ointment Tiger Balm and Chinese po chai pills for indigestion. A receptionist contacts you before check-in to see if you’d like to schedule a free consultation with a traditional Chinese medicine doctor. In the heart of Singapore’s old Chinatown, the hotel is surrounded by both hawker centers (outdoor food courts) and bars and restaurants beloved by locals, as well as attractions such as the Buddha Tooth Relic Temple. It’s a few minutes’ walk from local train stations, and a 10- to 15-minute taxi ride to the financial district and Orchard Road, Singapore’s main shopping area. With black walls, gray tiles and a generally spare feel, the ambience seemed more New York City than old Chinatown. A glass-walled shower came with both a hand-held and a rain-shower fixture; rose- and jasmine-scented shampoo and soaps were by the U.K. brand The Organic Pharmacy. Both the bar and modern Chinese restaurant, Yellow Pot, take their cues from the hotel’s locale. Cocktails such as “escape to Kaifeng” combine gin with Chinese chrysanthemum cordial, for example. And the dining menu, though pricier than those of places with similar offerings just outside the hotel, did deliver on quality; the roast duck, crispy Sichuan chicken and stir-fried noodles with tiger prawns and Hokkaido scallops were tasty. Breakfast, which was included in the room rate, was an impressive two-course affair featuring both Western staples (eggs, pancakes) and Singaporean dishes such as char kway teow (fried rice noodles) and the country’s signature chili crab poured over an omelet. Free Wi-Fi, bicycles and access to the pool and gym at the Six Senses Maxwell (a five-minute walk away), as well as a free tea ceremony, outdoor yoga and a 30-minute consultation with a traditional Chinese medicine practitioner. This took the form of a probing Q. and A. session in the hotel lobby, with the physician concluding that I had “a lot of wind in the liver” and needed to schedule an additional (paid) consultation so he could prescribe herbal remedies. This very centrally located, beautifully restored hotel is a gem, and if you don’t mind getting egged on to venture down the Asian holistic path, it does offer a tranquil respite that’s a brief step into old-world luxury. Follow NY Times Travel on Twitter, Instagram and Facebook. Get weekly updates from our Travel Dispatch newsletter, with tips on traveling smarter, destination coverage and photos from all over the world. This site is protected by DMCA. Elizabeth Warren Is Running an Ideas-First Campaign. Will It Work? Website design by Results Driven Marketing, LLC, an industry-leading digital marketing agency.